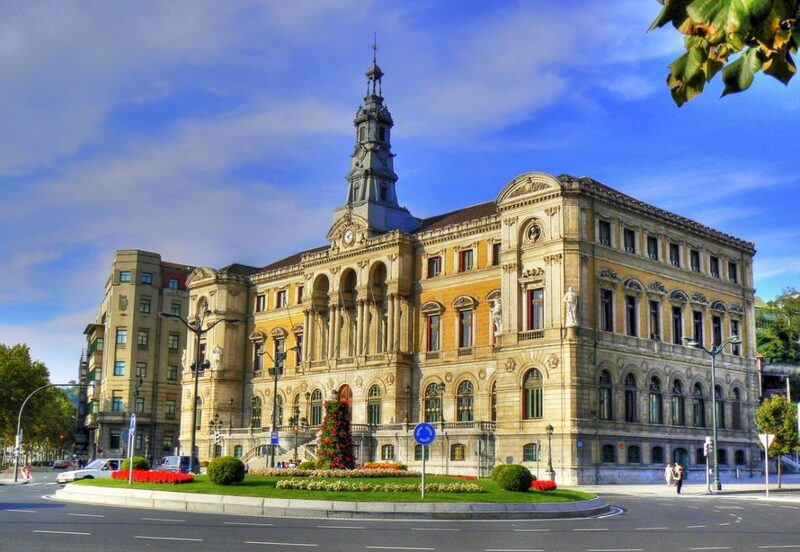 The City Council of the capital of Bizkaia has obtained the highest possible score (one hundred points out of one hundred), the same as Getxo, Barakaldo, Vitoria and 21 municipalities all over the State. Since it was created in 2008, the Transparency Index of Municipalities (ITA) has become a tool of reference to measure the level of transparency to society and citizens in general. 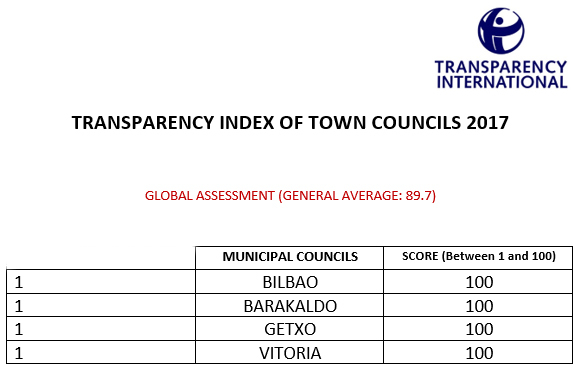 This time the ITA has evaluated the transparency of the 110 largest city councils in the State, including the three Basque capital cities, as well as Getxo and Barakaldo. To this end, an integrated set of 80 indicators was established. They were distributed in six transparency areas: active transparency and information about the municipal corporation; website, relations with citizens and society and citizen participation; economic and financial transparency; transparency in procurement, agreements, subsidies and cost of services; transparency in matters regarding urban development, public works and the environment and right of access to information. In this regard, the participation in the process to prepare the ITA, in addition to being an incentive due to its renown, is also a perfect occasion to promote the Open Government culture which is now being sought, since it provides the opportunity to know the level of transparency, its integration with issues such as accessible, reusable data, participation, etc.